author shares his perspective on habits of consumption in different parts of the world, and how wealthy societies subjugate impoverished societies without being aware of it. 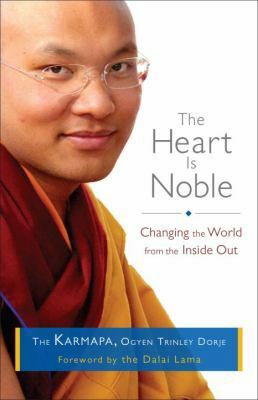 The book is based on intensive conversations held during a month-long session where a group of American college seniors met with the Karmapa. The guidance presented here is timely and inspiring for anyone who feels helpless in the face of global changes.Topics addressed by the Karmapa include the importance of healthy, honest relationships; exposing the causes of greed and consumerism; how to find meaningful livelihood; protection of the natural environment; the meaning of social justice, as well as justice in food and fuel production; and how to sustain a lifetime of kind and compassionate activity.